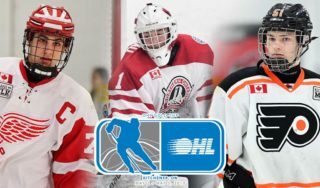 The Owen Sound Attack travelled in to the Barrie Molson Centre to face their highway 26 rivals knowing they needed to get the early jump on the league’s hottest goalie of late. The attack began just 18 seconds into the game led by Kaleb Pearson. His two goal first period would prove to be the difference grabbing a lead that would never be surrendered. Jacob Tortora and Jason Willms would be the lone goal scorers for the Colts and Jet Greaves would suffer the loss turning aside 30 shots in his third straight start. His counterpart, Mack Guzda would hold the fort allowing just two past him on 31 shots earning the win between the pipes for the Attack. Once again it would be a rough start for the Colts, who as of late have consistently got outshot by a wide margin in the opening frame. Thursday night was no different, as the Attack would pepper the CHL goaltender of the week with 16 shots. The Attack wasted no time immediately launching their offense on the Colts. Pearson would step over the Barrie blue line and wrist a shot past the blocker of Greaves to open the scoring. It would appear that Owen Sound was just getting started. Just three minutes later, Pearson would collect a pass coming into the zone and beat Greaves flying in off the left wing for his 2nd of the night. As the first period continued the Colts would see the majority of play kept on their side of the blue line and a large gap in shots on goal. By the end of the period the boys were outshot a disappointing 16-4. The Colts would begin to show some life in the 2nd, but it wouldn’t be until just over four minutes left in the period that Tortora would get the boys on the board. Skating off the wall Tortora stick handed past multiple defenders ripping his 14th past Guzda to get back within one. Playing in his 200th OHL career game, Aidan Brown would pick up an assist on the play with the secondary going to Matthew Hill. Before the goal could even be announced, the Attack would counter right back. 25 seconds later Tyler Tucker would have to take the legs out from under Barret Kirwin while sprung on breakaway and instead give Kirwin a penalty shot. Kirwin would make no mistake, beating Greaves five-hole and put the Bears back ahead by two. Late in the second the Colts proving their relentless play once again responded. Willms waiting in the slot would have Nathan Allensen’s drive from the point drop right to his stick. The Colts captain snapped his 11th of the season to the back of the net with just 10 seconds remaining in the period. Into the third, with both teams trading penalties early on, the Attack would regain their two-goal lead once again. Skating four on four, Aidan Dudas would setup Carter Robinson to blast another behind the Colts netminder. Despite their increased efforts, the boys just couldn’t muster a comeback. 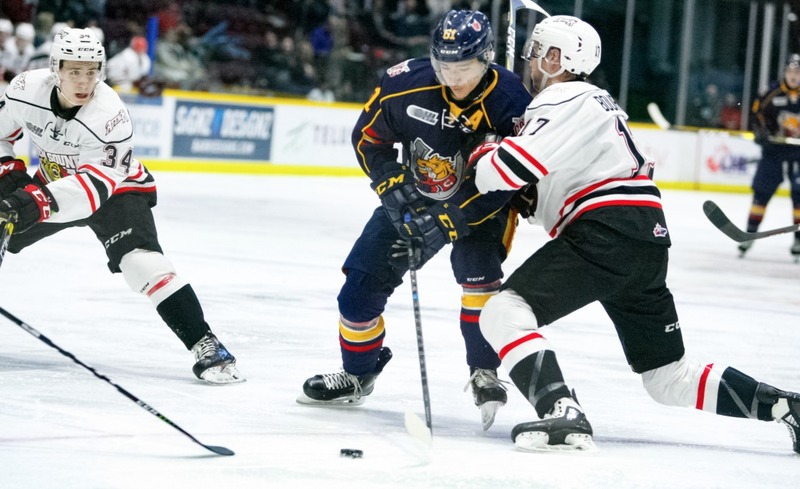 The clock ran out at the end of the night giving the Owen Sound Attack the 4-2 victory. The Colts will be back on home ice Saturday night as they’ll look to extinguish Flint as they host the Firebirds for their only visit to the Molson Centre. 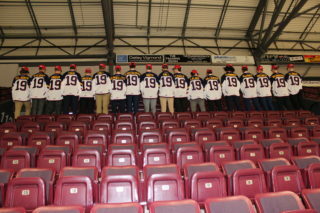 Tickets for all Barrie Colts home games can be purchased online, by calling 1-888-655-9090, or in person at the Colts Store located inside the Barrie Molson Centre.